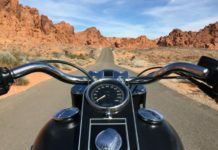 Electric bikes are the latest trend in the motorcycle world, as the world is slowly depleting its fossil fuels while seeking viable alternatives. 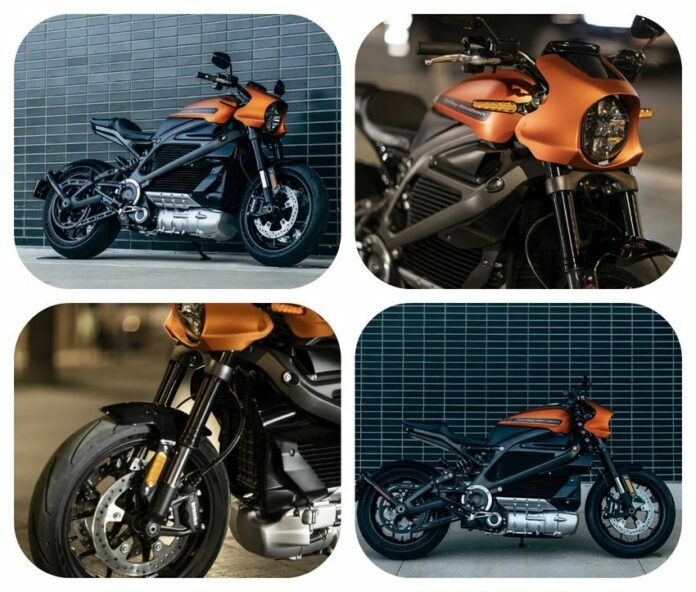 Harley-Davidson gave us a tease in 2014 with the Project Livewire prototype. This year at the EICMA “Milan Show”, they showed us the actual production version. 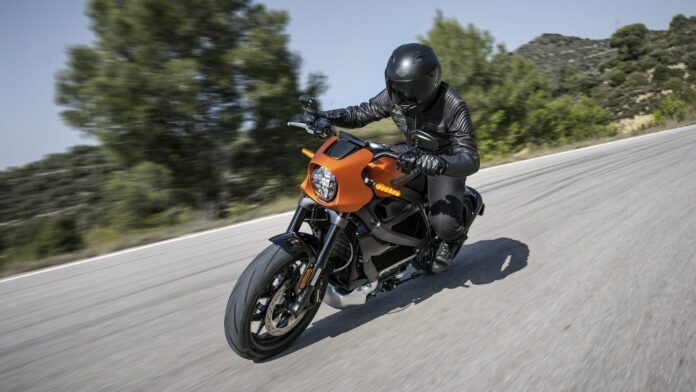 The 2019 Harley-Davidson LiveWire bike brings tons of great new features to the game. It is a completely modern vehicle with up-to-date equipment. Let us take a closer look. 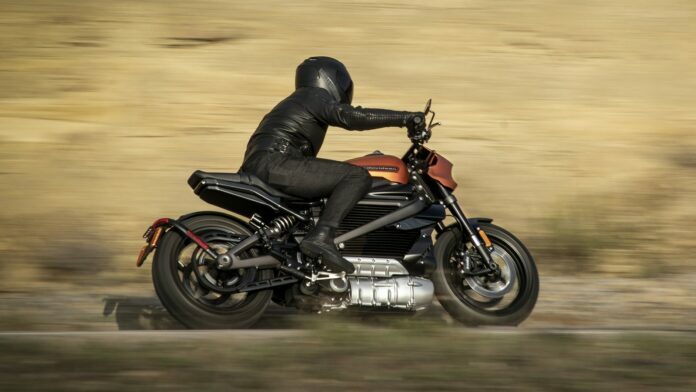 This is a completely new territory for Harley, and the flagship naked sport bike in their current lineup. It has a bobbed front fender and stiff inverted forks, which combine to make a performance look throughout. The blackout treatment is present from the rims through the whole bike and is the dominant color. A bullet fairing holds the cyclops headlight, and short-rise bars pull the rider forward, offering an aggressive riding position that is reinforced by jockey foot pegs mounted high. A Thin Film Transistor touchscreen display handles the instrumentation along with a wireless Bluetooth connection providing music and navigation. It also serves as a rider interface for the modes and traction control. 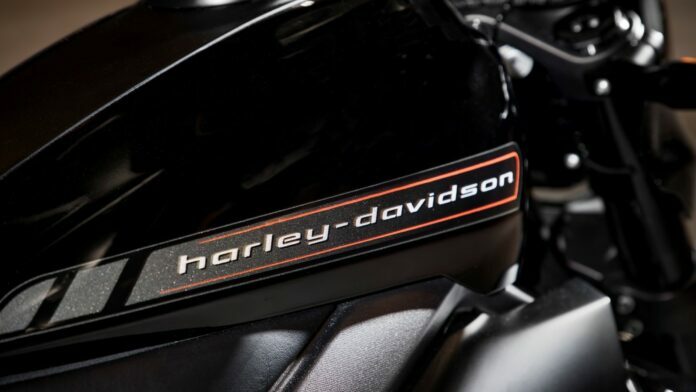 Harley finally joins the 21st century with this step, and embraces the modern style and design, as well as the future. The “fake” fuel tank section goes down to the seat, and the fuel cap is a cover for the charging ports. Present under the seat is a dry-storage compartment for a cord able to connect to any household 110V power outlet. There is a pair of LED turn signals below the light bar, which serves as the taillight. The manufacturer definitely moved away from their comfort zone with this bike, and as a first effort. They did their best and it turned out more than okay for the time. 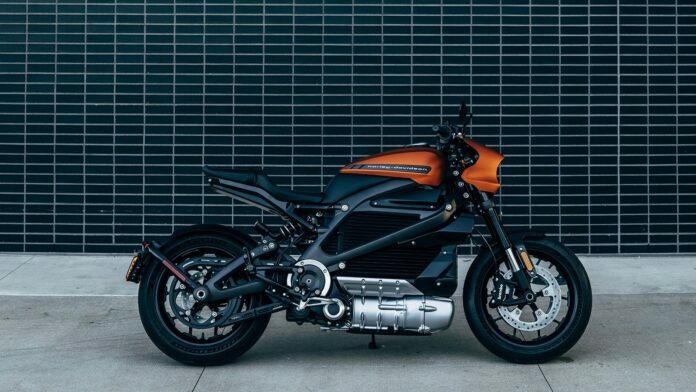 In the next 5 years, let’s just say Harley-Davidson has to do even more with the electric bikes. We also have a great departure from their norm so far, as the factory used a cast-aluminum Trellis frame for the bones, which serve as an aesthetic feature. The front forks are Showa’s Separate Function Fork-Big Piston stems, and they are inverted. This is the first Harley production model to have adjustable front suspension, a huge step forward. We have another Showa product in the back, this Balanced Free Rear Cushion-lite, also with damping adjustments. Cast wheels complete the rolling chassis with an 18-inch front rim and a 17-inch rear rim, lined with Michelin Scorchers. Dual Brembo Monobloc calipers work with the 300 mm front discs to top the machine. It has ABS protection and a traction-control feature, and electronically applies rear brake when a wheel speed difference is detected. Another big technological step for the brand, as they really seem to want their critics to shrink in numbers. 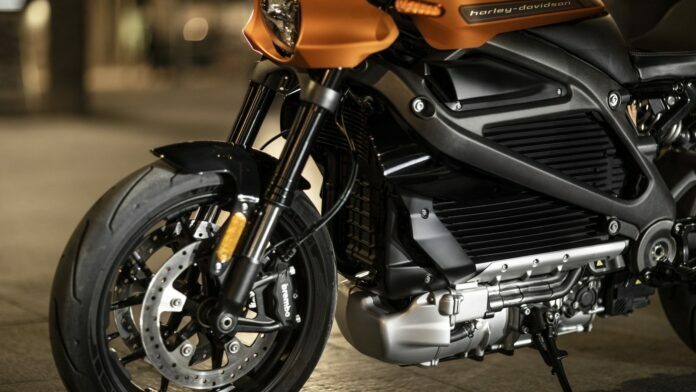 To keep the center of gravity low, the bike has an oil-cooled, three-phase 55 kW induction motor down low in the place of a chin fairing and/or a belly pan. A great job if you consider the large Rechargeable Energy Storage System situated in the aluminum case between the fuel tank and the drive section. The aforementioned case has cooling fins cast in, to better deal with the heat. A second smaller 12V battery runs the non-drive systems. The power figures are a bit underwhelming when compared to other electric bikes, with 74 horsepower and 52 pound-feet of torque. There is no gearbox, clutch or a shifter, just a twist operation. As Harleys are famous for their sound, they provided the bike with a special gear that produces a howl, giving you great feedback from the engine. 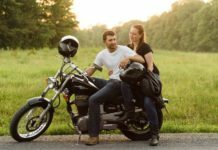 This may sway away some potential buyers, as more people opt for peace and quiet with motorcycles today. The price is yet to be announced, but is should be mentioned that Harley never used price as a selling point. It will probably be on the expensive side, and will surely hear more come January. The Zero S is the rival to beat here really. It is a similarly naked sport bike, and a bottom-tier performer. 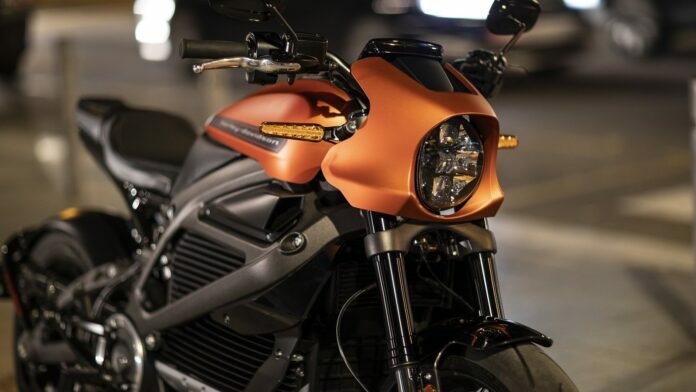 The Zero sports a cleaner headlight assembly fairing, but this is subjective. It carries a fuel tank-like hump and offers a charge-pack and a battery-pack. These can fit in the hump, speeding up the charging times or extending the range. Zero has a Showa suspension at front and back with many adjustments and beats the Harley in the department. ABS is constant, and the Zero offers two riding modes with variable power delivery, but LiveWire’s electronics are better. The Zero also fails in providing traction control. 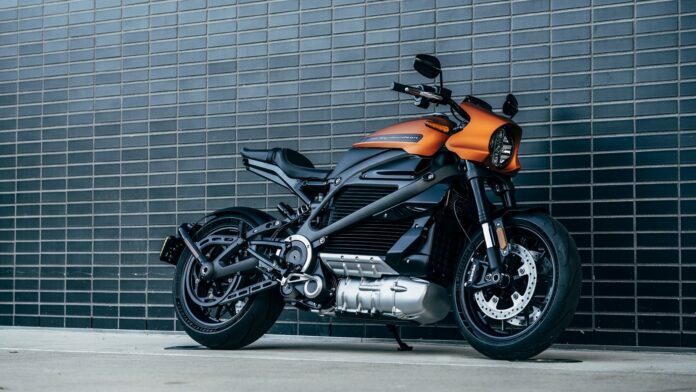 The power figures are quite similar with Zero’s 78 pound-feet and 46-horsepower, versus a 52/74 combo from the Harley. 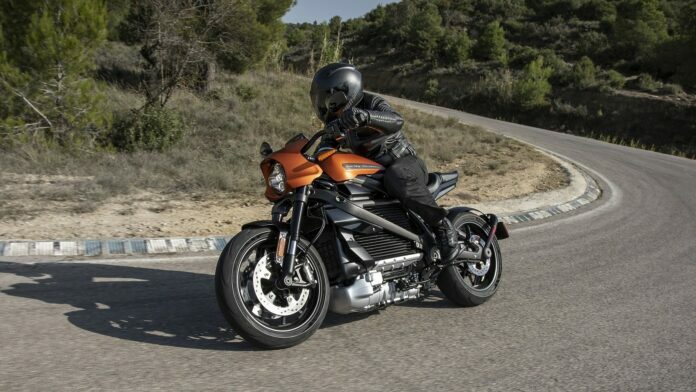 The capacity and charge times are still unknown for the LiveWire, as well as the price, so we cannot compare any further at this point in time. Stay tuned.